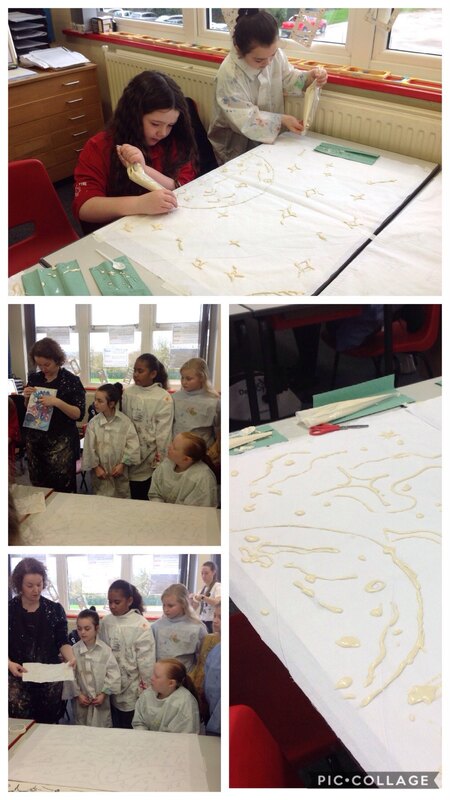 This morning with Belinda, Year 5/1 have continued with their planet landscapes. They created areas of resist with flour paste and piping bags, using the batik technique. When this has dried next week we will add inks to represent our space theme. Messy but exciting! This entry was posted in Year 5 and tagged Art on March 15, 2019 by Sandford Hill. Your work looks ‘out of this world’ children! Great job everyone!